Solo travel is not everyone’s cup of tea – which is where women-only travel clubs come in. They allow you to go places – either alone or with your girlfriends – experience new things, make new friends and it’s exhilarating to just be able to travel with a confident group of women. Problem solved! If you’re someone who’s scared of taking the plunge (which means of taking that solo trip, basically), here are some groups to help you make it happen. Vidya Deshpande left her full-time journalism career to start a travel group that helps women not only travel to new places, but to learn on-the-go. Soul Purpose offers tours that are more than just visiting destinations. A trip can be clubbed with a photo walk, a music fest, a culinary trail, or something that facilitates experiencing the local flavours of our country. Who doesn’t want to visit Ladakh? A biking trip across the majestic valleys is the end goal, right? Well, this travel company specialises in ticking off this adventure off your list sooner than you’d have imagined. Stay with the locals, roam around with female guides and get the authentic feel of the mountains, while not having to bother about your safety. Whether you want to watch the Northern Lights, go camping in Mongolia, or just chill by the beach in Bali, this travel club will make it possible for you with their reasonable packages. Pick from group travel or solo, and leave everything else to them. After travelling solo for years, Sumitra founded the WOW Club for women who are nomadic at heart (just like her). With offices in Mumbai, Delhi, and Bangalore, this club offers both, domestic and international trips to women – and customises them, too. 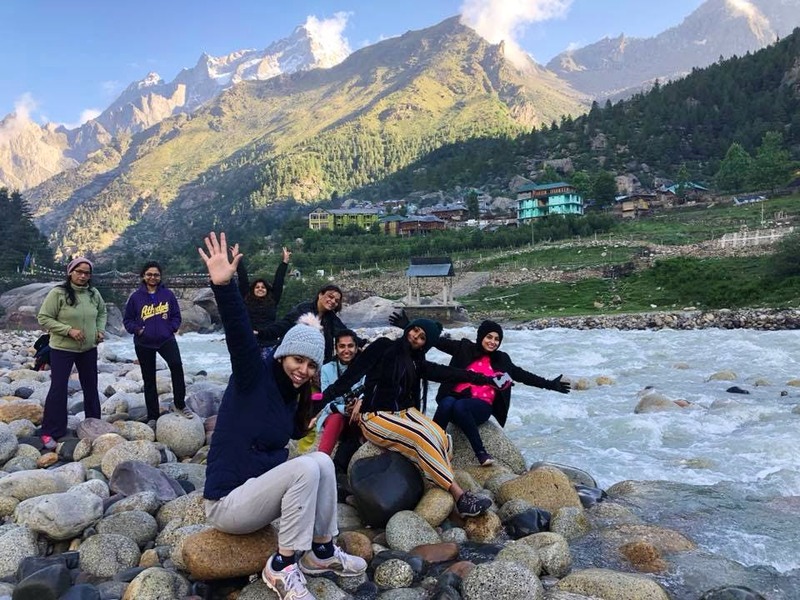 Having lived the corporate life for over a decade, founders of Wandering Jane, Akshat and Garima wanted to realise their passion for travel and starting something on their own. With this company, they found a way to create a safe environment for women to travel and experience new adventures. Just put in your destination, and the kind of thrill you’re looking for, and they will plan the ideal trip for you. Jugni is a travel planning venture that specialises in organising all-women’s trips across the world. You can leave all the tiring groundwork like costs, papers and accommodation to them as they figure out how to seal your vacation plans without as much as a hiccup. Jugni caters to all types of women; from luxury seeking to adventure junkies, and have travelled far and wide from Sikkim and Kasol to Uzbekistan and some cities in Europe. A travel company for women, by women, Wovoyage is perfect for Indian and foreign travellers who wish to go on solo trips and backpacking tours. In India, they plans trips to places like Goa, McLeod Ganj, Andamans, Rajasthan and more. If you're looking to go abroad, they've got packages for Greece, Japan, Thailand, Bhutan, Bali and other destinations. They can even tailor-make a trip for you.